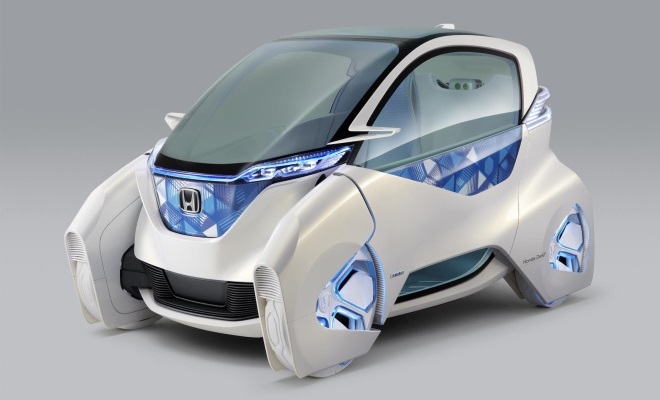 When it was unveiled at the 2011 Tokyo motor show, Honda’s Micro Commuter Concept strongly resembled a stranded space-pod, crash-landed on terra firma. With its white-tyred wheels hidden away within angular spats, it looked more likely to float off at a hover than to roll along tarmac. Things have progressed in the intervening 12 months, and the next-step Micro Commuter Prototype is much more clearly earthbound and practical in appearance. Which is a shame but only to be expected. Renault’s inventive Twizy electric pod performed a similar transformation from hexagon-wheeled space oddity to road-going reality following its motor show debut in September 2009. 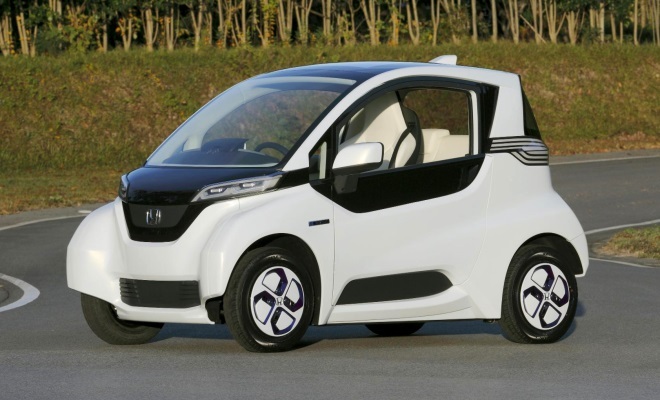 And of course it is the Twizy that has provided the template for Honda’s micro car. Like the French runabout, Honda’s is electrically powered and destined to fall within the quadricycle category where power is capped at 15kW (20bhp). 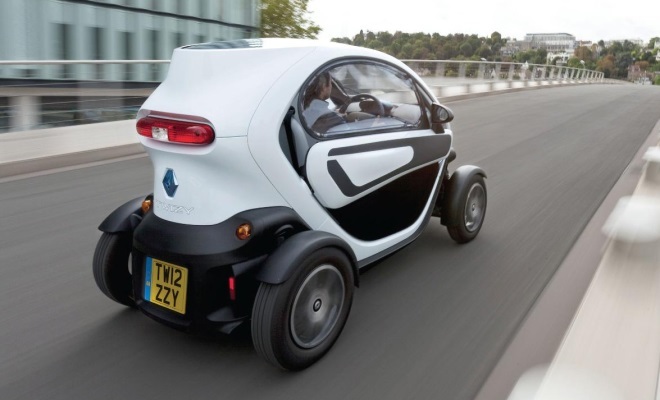 Performance would no doubt be similar – the Twizy feels reasonably responsive up to its 50mph cap. Unlike the Twizy, the Micro Commuter looks as if it might have proper doors with glass to keep out the elements. The Twizy’s optional doors aren’t watertight, and don’t boast glass, but you can now buy plastic sidescreens to keep out the worst of the British weather. Honda’s runabout will offer a slightly wider cabin than the Renault, given that it offers the option to fit two small child seats side-by-side in the back, as an alternative to a single adult seat. If you wanted to squash two kids into the back of a Twizy, you’d need to stack them. The Japanese company has also built the Micro Commuter atop a separate chassis containing the batteries, propulsion system and controls – called the Variable Design Platform. It envisages building a variety of body styles on this base, including micro delivery trucks in the style of the Daihatsu Midget. For now, there’s no news on whether the Micro Commuter will come to the UK. That decision no doubt hinges on how many Twizies Renault has managed to sell.